While our travel vans are comfortable, user-friendly and efficient, there are still a few things that you can do to make your van rental experience go even smoother. Make sure everyone who will be driving the van has a valid driver’s license. We do not charge for extra drivers, but we do need to verify that each license is valid before we turn the van over to you. Additionally, make sure your license is valid for the duration of your rental. If it expires during your trip, you’ll need to renew before you get here. Pack using soft-sided and/or collapsible luggage for your trip, such as a backpack or duffel bag. The storage compartment in the van has plenty of room to fit all of the essentials, but its dimensions mean that oversized and hard-sided suitcases won’t fit. We do have duffel bags for rent at our office for a nominal fee if you do not own collapsible luggage, or if you discover your suitcase is a no-go once you arrive. Bring the credit card you used to book your original reservation. We will not charge the card again (your reservation is paid in full when you book), but we will store it in case of fines or damages that appear after the return (like a normal car rental agent does). Debit card users, please refer to Terms and Conditions to see any special conditions that may apply. 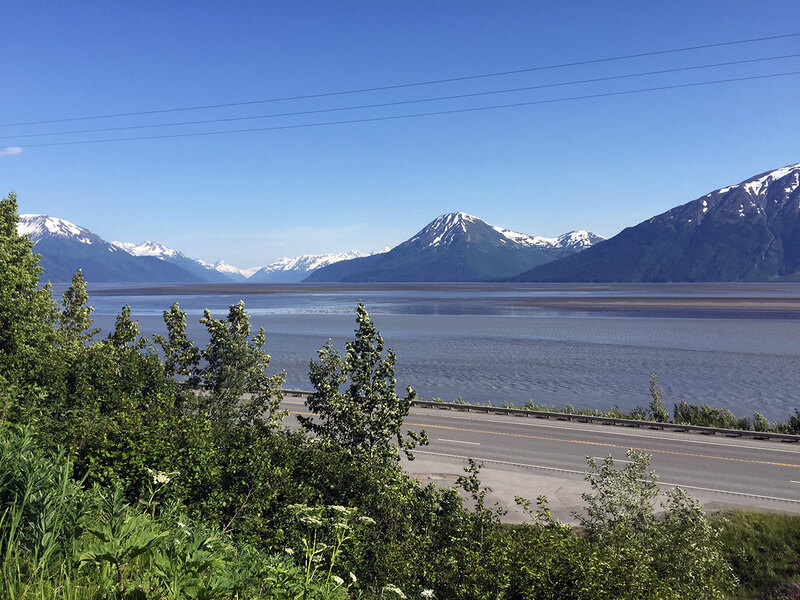 We recommend securing campground reservations well in advance, before you arrive in Alaska, especially in Denali National Park and during local festivals, such as Seward’s Fourth of July or Ninilchik’s Salmonfest. National Park campgrounds and popular State Park campgrounds are often busy during the summer, between Memorial Day (last Monday in May) and Labor Day (first Monday in September). You can refer to these sample itineraries for a few ideas of where to Get Lost in Alaska. Packing Tip: Bring clothes that you can wear in layers. The weather in Alaska can be very unpredictable, and can change with little notice. Sometimes the difference between the high and low temperature can be more than 30 degrees F in a single day. An outer layer that is rain proof is highly recommended. Download The Alaska App to your smartphone. It’s a free download, and has valuable information on what to see and do during your travels, as well as tips on logistics and operations. Also check out the visitor information guides for the towns and cities you’ll be visiting. They often have information on the festivals and events that happen throughout the summer in each locale, so you can make plans to be there (or not) during your trip. Did we miss anything? Anything you’d recommend? Add to the discussion in the comments! My wife and I are thinking about renting a van for our next vacation, so thanks for the helpful tips. I like your point about bringing collapsible luggage so you can fit everything. We are going to be bringing a lot of our stuff, so we’ll try to do this where possible.